Steve...Sorry to put you thru this. You are so great and everyone helping you. I got ai's at KINT but they all just sit there. It can be 737's or ys11 or FH227 but they don't budge... Could it be anything amiss in the afcad. I think the afcad you built and one I have been working on are ok..i think but nothing moving. I can't even get traffic into my new McDonald's fly-thru.. I think like you said..the Dakota Smith was messed up and I don't think the fsx default KINT works either..
Just hate to leave KINT in the dinosaur pit... Your's worked at one time but for some reason nothing works. I have reinstalled p3dv4.3 and nothing..all the same. Well, my initial Test fligtplan only had the a/c move on Tuesday -- all TNGs. I'm finding out more and more that anything in your sim that is not specifically meant for P3Dv4 will cause issues. I've purged all of the a/c, scenery, etc, that I can find and as I do this, things get better. Not perfect as yet but I think I'm getting there. Reading through this thread, you mentioned you observed a CL type aircraft at MMU. Is it a JBAI CLxx, converted to P3Dv4? I'm having a heck of a time trying to get those birds to show in my sim! Yeah, it was a convertedd JBAI (UGA) Challenger CL-604. Converted using the lua obtained here at AIG. Thanks Steve. Back to troubleshooting...I feel your pain! Don't know (yet) about KINT. I'll check into that in a bit. And, all 4 of my test a/c are at KINT though no other AI traffic is present but it's Sunday. 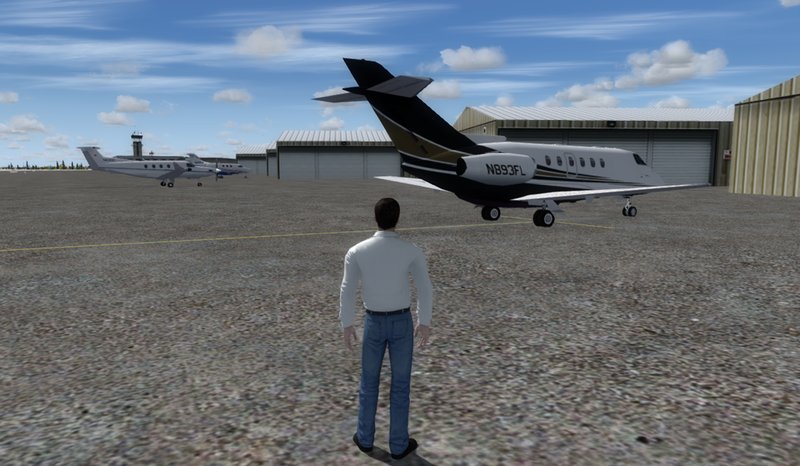 I removed all of my Addon Scenery then only added back those that were specific for P3D. That was after removing all FSX a/c. But, I can't give a specific cause. I was reading this thread as I had the same problem. From one day to another ALL of my AI traffic disappeared. I used Lorby's AddonManager to recover it. Et voila, there it was again. Hope this helps for others with the same problem. I've just had the exact same problem - first I thought a recent scenery installation had put a FS9 traffic file into my setup. Yet despite deleting the new scenery, the problem persisted. Then I read this thread and found the scenery\world entry was missing from scenery.cfg. Can I just confirm scenery\world should be right at the bottom of the scenery library entries? I can't understand how this happened, but I think some add-on deleted the entry. Personally I have my traffic BGL's in their own folder outside the default P3Dv4 folder.